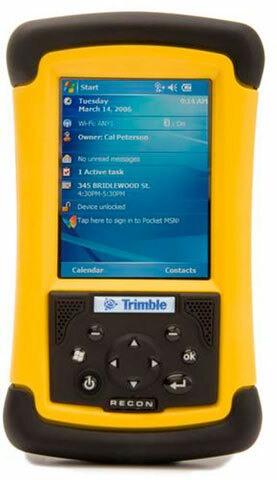 The ultra-rugged Trimble Recon handheld, with Windows Mobile version 6 operating system, provides standard Microsoft productivity tools and is compatible with a wide range of field software and GPS receivers. Recon 400X, 400 MHz processor, 64MB RAM/256MB Flash, 4000 mAh battery, VGA display, PDA keypad, Windows Mobile 6.0. Color: Green. Custom-only part, please call for information.